Saturdays from 6 to 7 p.m.
Sundays from 8:30 a.m. to 1:30 p.m. 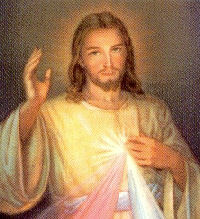 The Divine Mercy of Jesus, also known as the Divine Mercy, is a Roman Catholic devotion to Jesus Christ associated with the reputed apparitions of Jesus revealed to Saint Faustina Kowalska. The Roman Catholic devotion and venerated image under this Christological title refers to the unlimited merciful love of God towards all people. Sister Kowalska was granted the title "Secretary of Mercy" by the Holy See in the Jubilee Year of 2000. 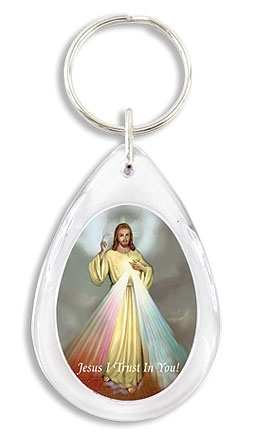 This devotional key chain is shaped like a tiny tear drop and includes full-color image. 2019 Missals are going FAST make sure you get yours before they are all gone! 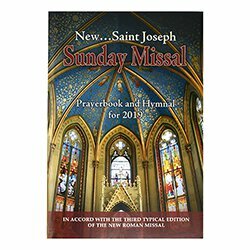 This easy-to-use 2019 Sunday Missal includes the complete Masses for all Sundays and Holy Days, along with the Easter Triduum. 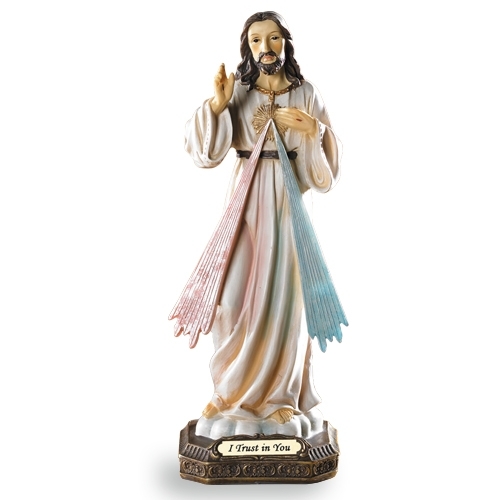 Features Order of the Mass in two colors and large type; people's parts in bold print for quick identification; large selection of more than 135 popular hymns and a Treasury of Prayers for Reconciliation, Holy Communion and more. 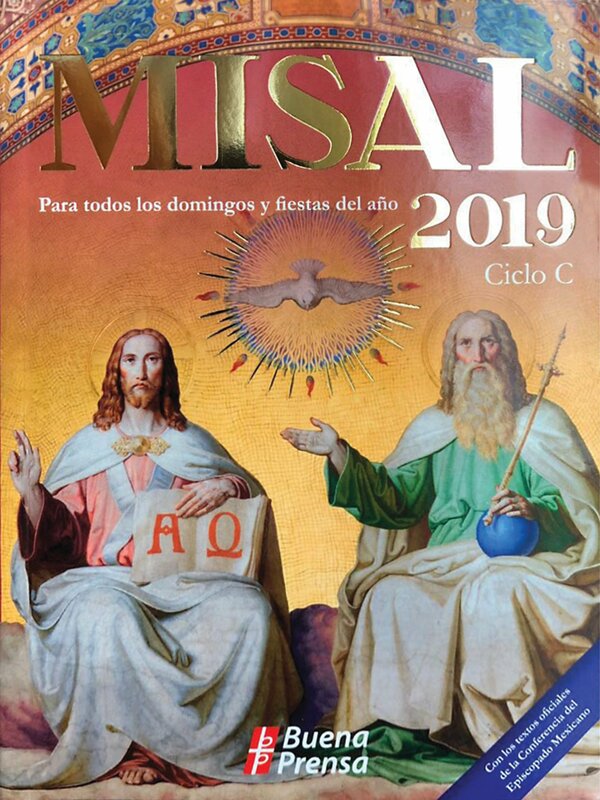 La Misa es el centro de la vida cristiana; participe activamente en ella con el Misal 2019 que contiene las Misas de los domingos y fiestas de todo el año. The one all-inclusive, complete and permanent Sunday Missal. It contains all the official Mass prayers for Sundays and Holydays that are now in use throughout America. It includes the complete three-year cycle of Sunday readings (Years A, B, C), and all the prayers from the Sacramentary, as well as the presidential prayers. These prayers are repeated for each cycle of readings to make this Missal easy to use and to eliminate unnecessary page turning. Catholics of all ages will truly treasure this excellent Missal destined to last a lifetime. Calendar to year 2106. Special features: Mass themes and biblical commentaries, people's parts in bold print, and more than 167 popular hymns. 1,586 pages. First Published over 15 years ago, the Daily Roman Missal is an essential resource for anyone who wants to grow closer to the Eucharist. An ideal traveling companion and a great fit for your glove box, briefcase, backpack, or carry-on, the DRM is a complete source for following the Mass, studying it more closely, and reflecting on its profound beauty and grace. Give thanks to the LORD, who is good, whose love endures forever: Let the house of Israel say: God's love endures forever. Let not only the house of Isreal thank God, but let your household thank God too! Everything you have is gift...your life, your health, your livelihood, your loved ones, your home, your provisions, and most of all, your eternal life. The Ghipht Shop is located to the right of our new church under the outside arches. We have added a 3rd page to our advertising pages to offer more advertisers to take advantage of our great value starting @ 1 space for $252 for a full year! Please call if you are interested! It also helps the parish with the expense of printing our bulletin. our advertisers who so faithfully advertise in our church bulletin. Our website offers our bulletin on-line in full color, including our advertising pages. A wonderful additional way to have our faithful advertisers be seen by our parishioners, visitors, snow birds and now everyone on the web. Stay connected with St. Margaret Mary anytime, and from anywhere. THANK YOU to all our advertisers for their support.